Wonder Kids Medical Daycare is a daycare center for children from birth to age eight who require skilled nursing care for medical reasons. 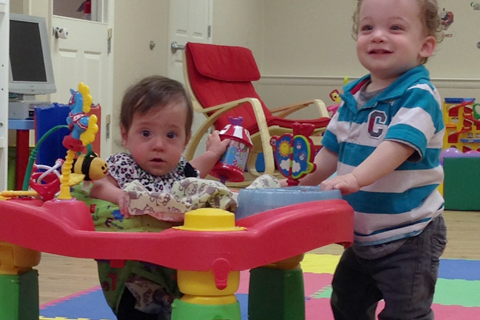 We provide daycare services to medically fragile and technology-dependent children with special healthcare needs. We are located in Lancaster, PA and are licensed by the Department of Health as a Pediatric Extended Care Center. Wonder Kids Medical Daycare is led by Molly Hendrix, RN, BA and Sue Martin, financial officer. Together, along with a team of specialty-trained RNs, LPNs, and CNAs as well as supportive volunteers, they are dedicated to the well-being of the medically challenged child. To find out more check out our Benefits page or contact us to arrange a tour of our facility and discuss your child's medical needs!